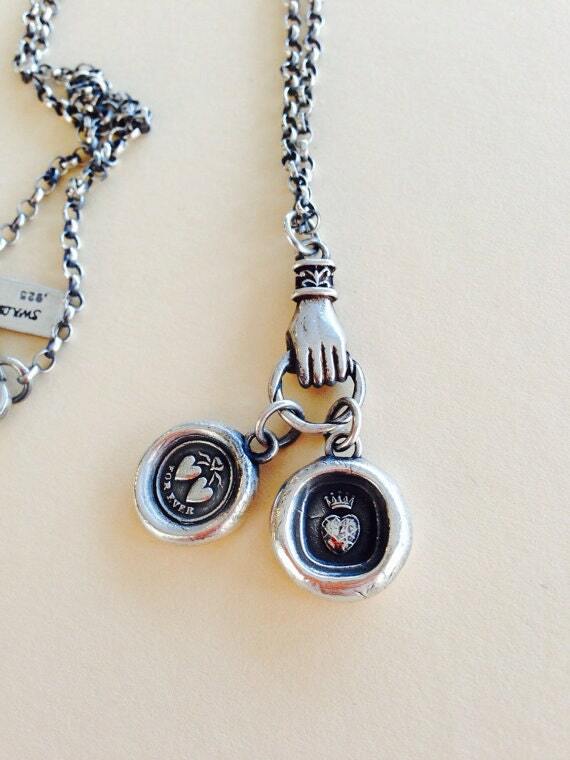 This is a beautiful little charm holder for when you want to wear more that one Amulet at a time. 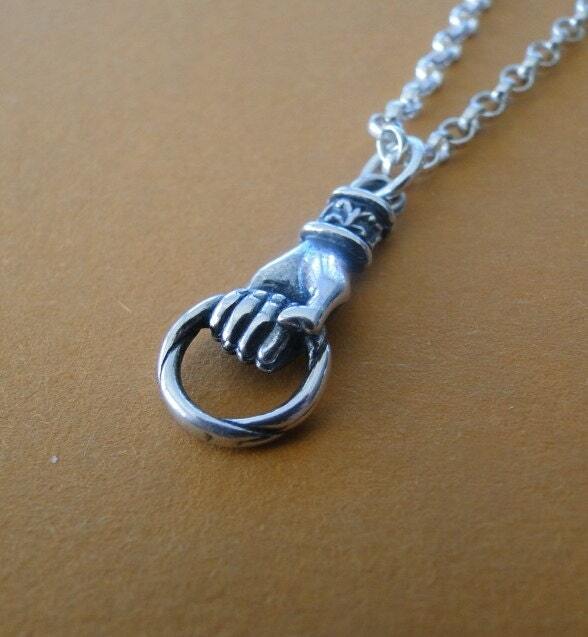 It is in the shape of a Victorian Style hand that is holding a twisted ring. 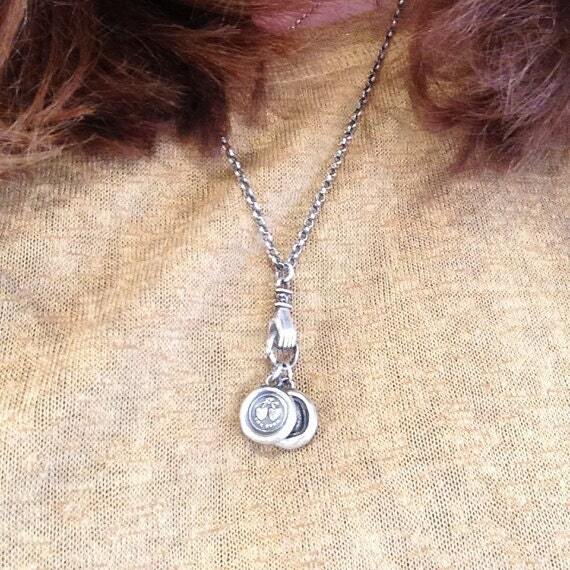 The Pendant holder is 100% sterling silver and can be hung on any of our chains (or your own). It comes attached to a fully soldered jump ring which measures 6mm. I will attach any charms or amulets that you buy in conjunction with this holder free of charge, and the will be professionally soldered on to prevent you losing your amulets. The chain pictured with is holder is our thicker 3mm Rolo chain. 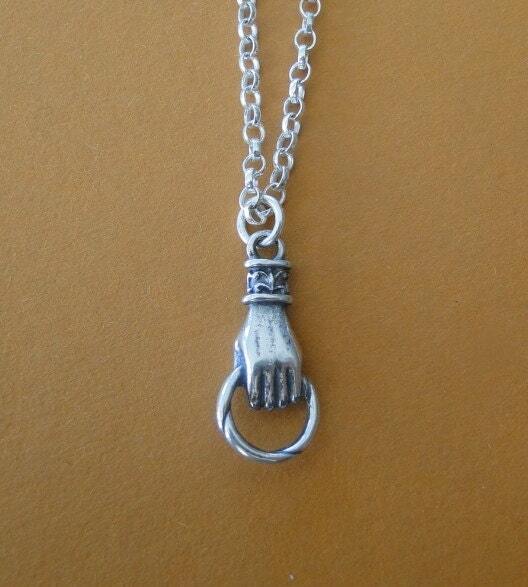 This listing is for the 'hand charm holder' only. 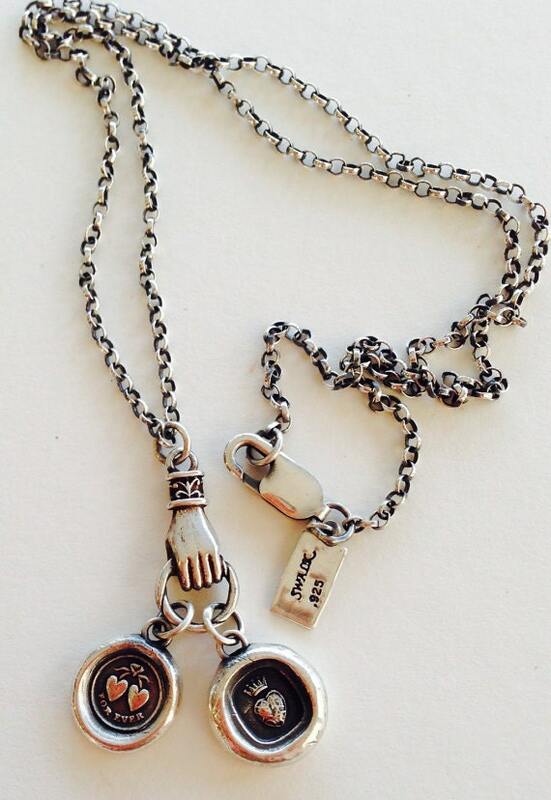 The picture with the love amulets on it are for demonstration purposes only.